Volcanic Aspens (Infrared) ©2017 James D Peterson. 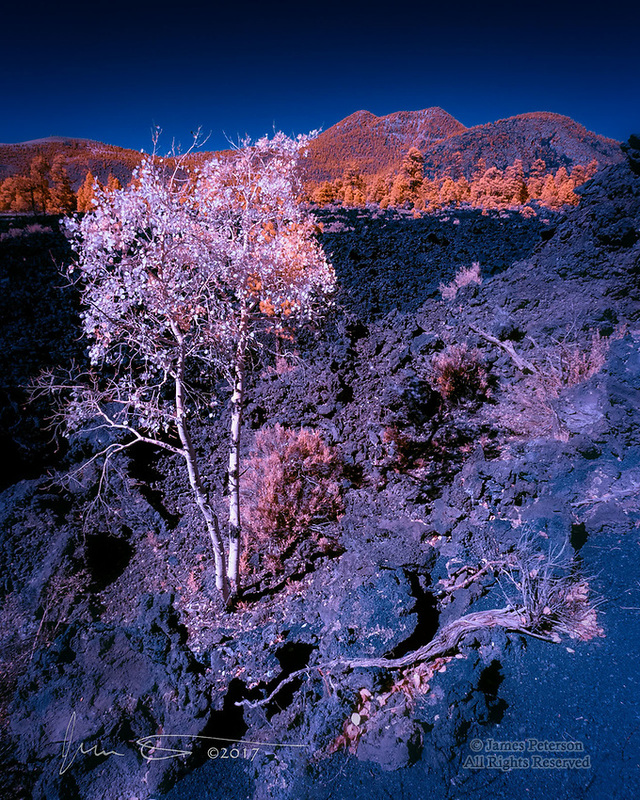 The lava flow in Arizona's Sunset Crater National Monument, northeast of Flagstaff, is a pretty harsh environment for trees, but that doesn't stop them from giving it a try. These two small aspens have found a way to endure, if not quite flourish, in those tough conditions.